No worries if you didn’t book a seat on your budget airline and don’t fancy the scramble to get one. 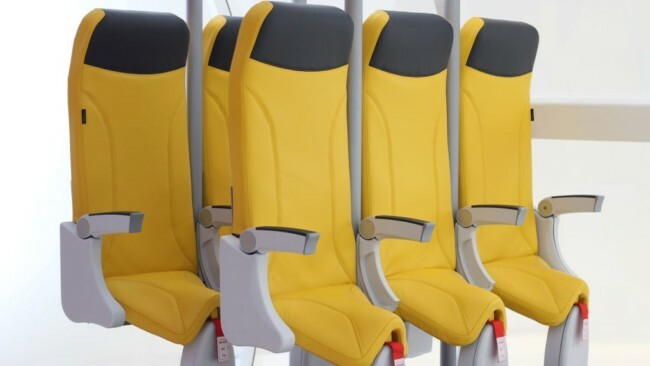 This is the Skyrider 2.0 saddle seat, positioned by Italy’s Aviointeriors at “the new frontier of low-cost tickets”. The new frontier looks a lot like standing. Seats are now just 23 inches away from the row in front. More people can get on the same-sized plane.Smell that? That’s progress – and you stuck in an overstuffed flying tube like a flaying carcass.